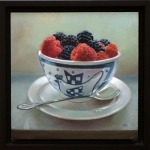 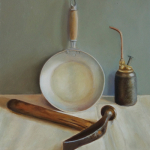 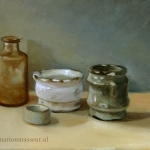 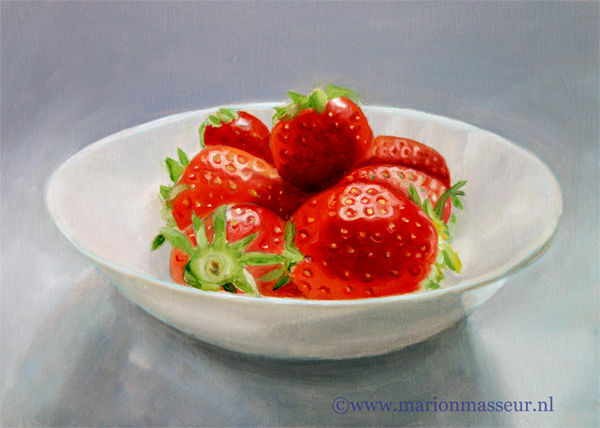 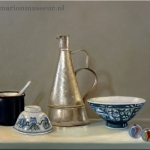 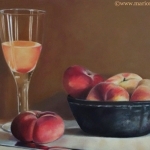 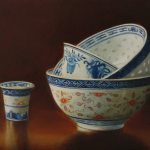 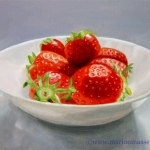 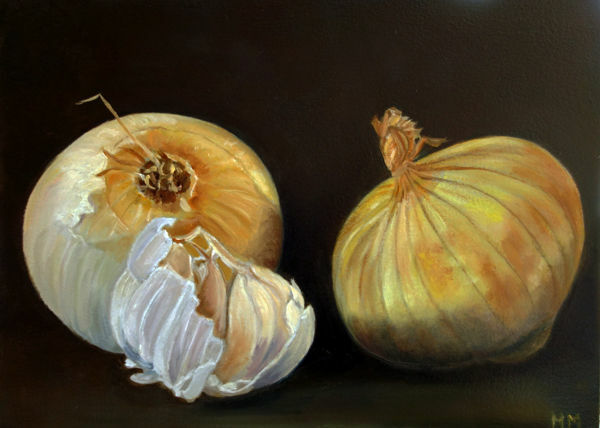 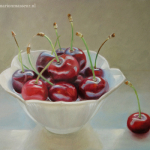 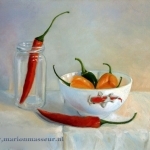 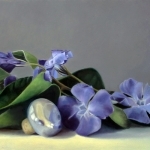 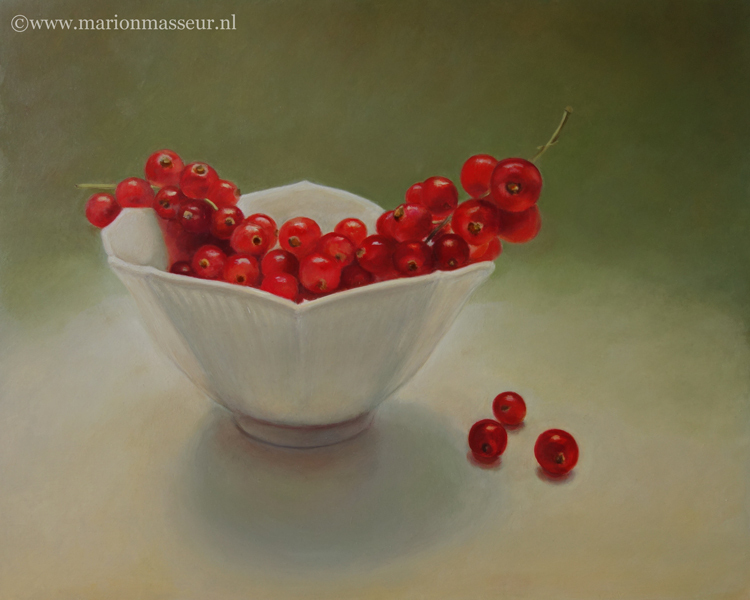 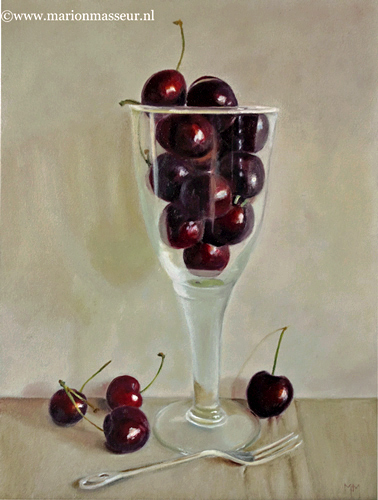 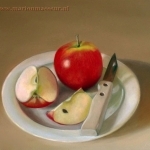 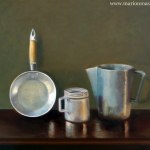 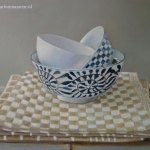 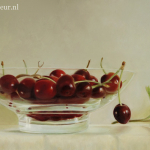 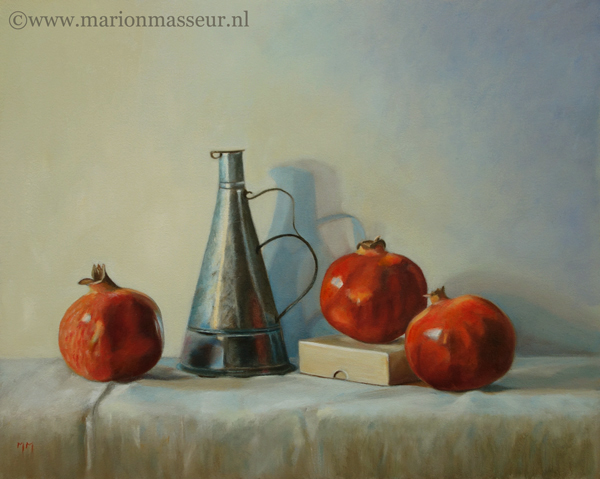 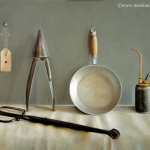 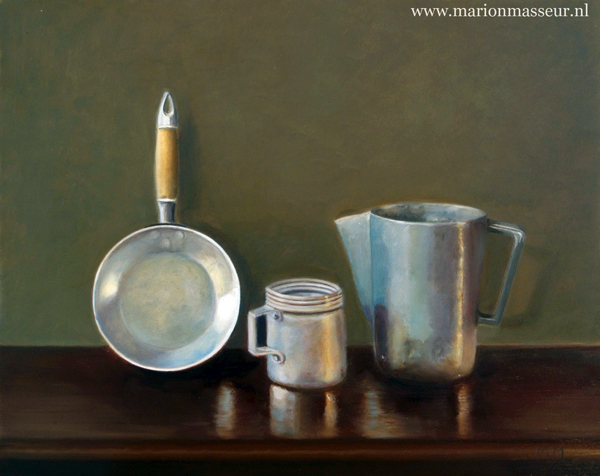 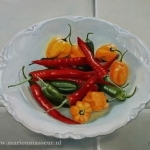 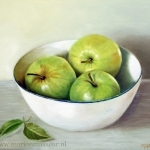 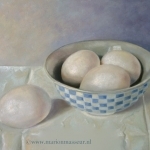 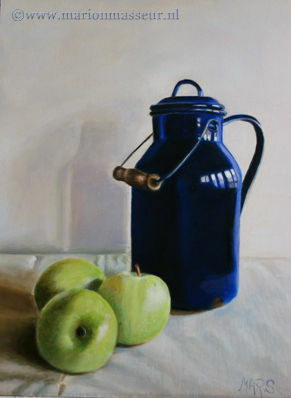 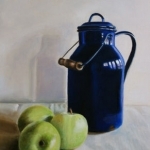 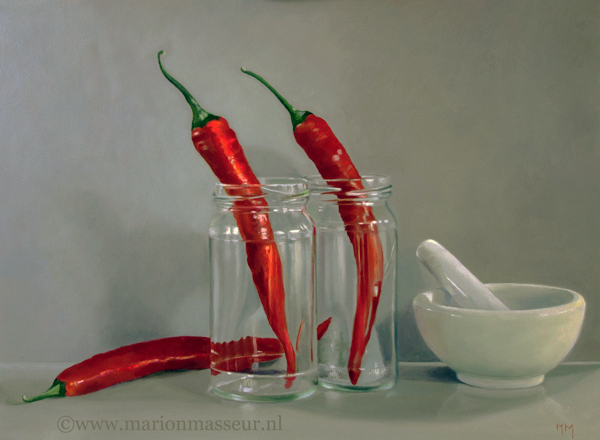 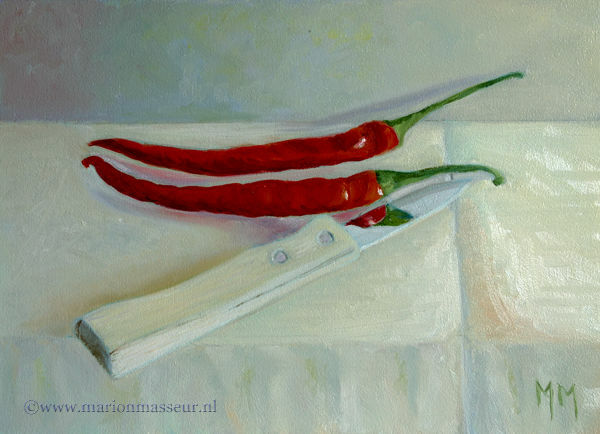 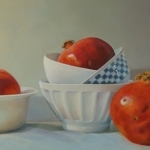 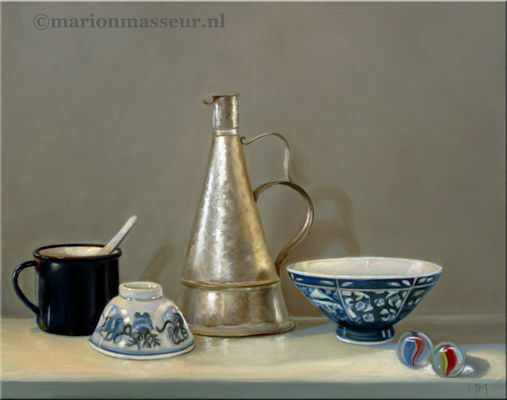 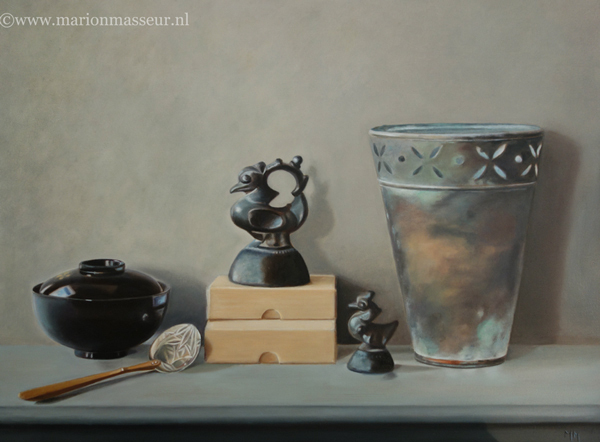 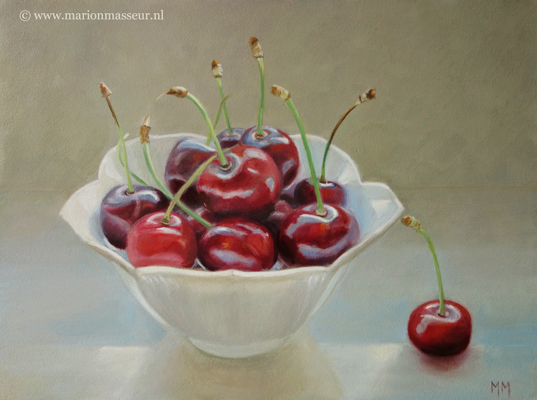 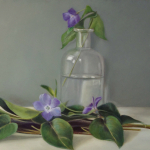 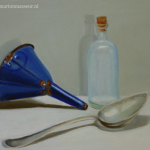 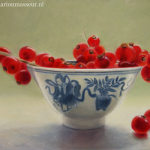 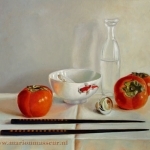 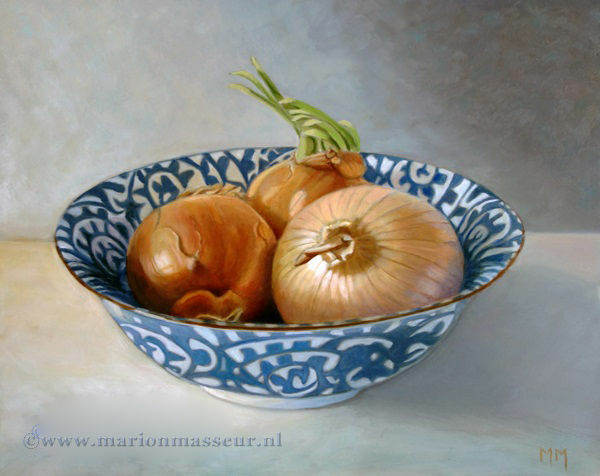 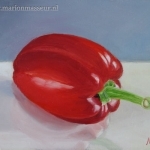 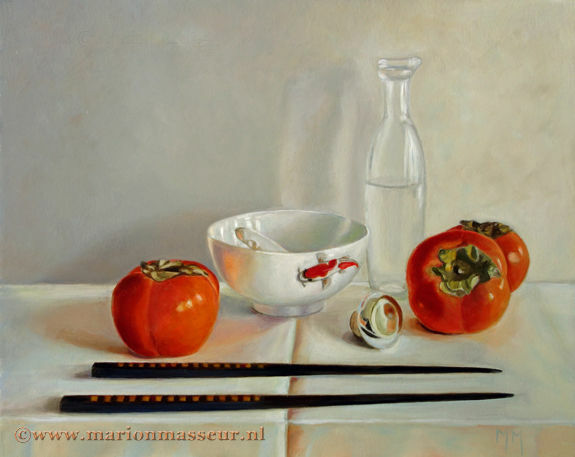 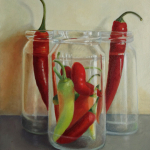 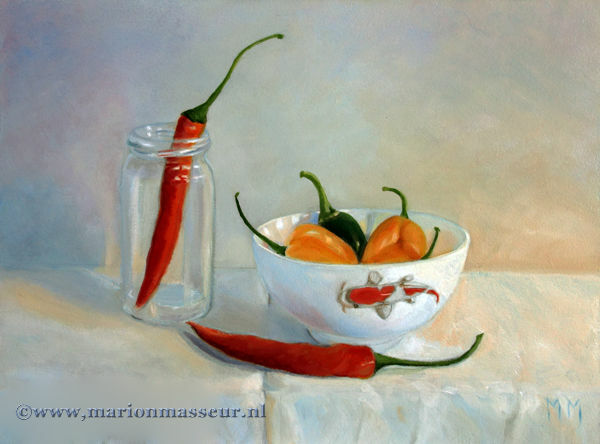 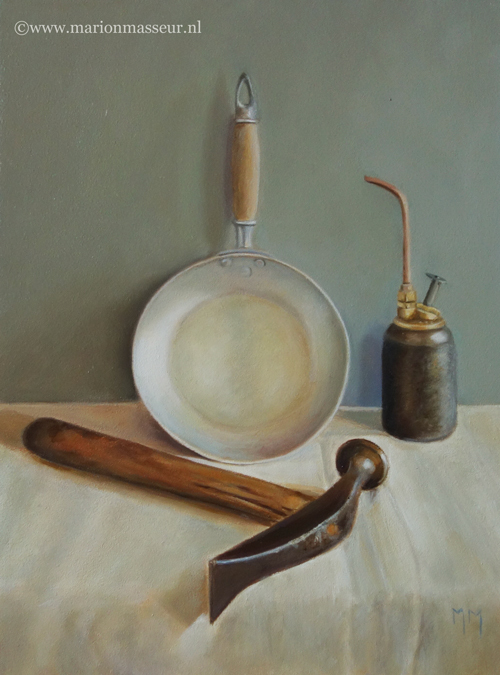 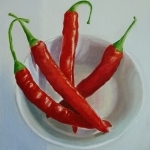 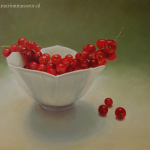 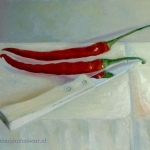 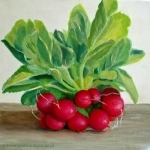 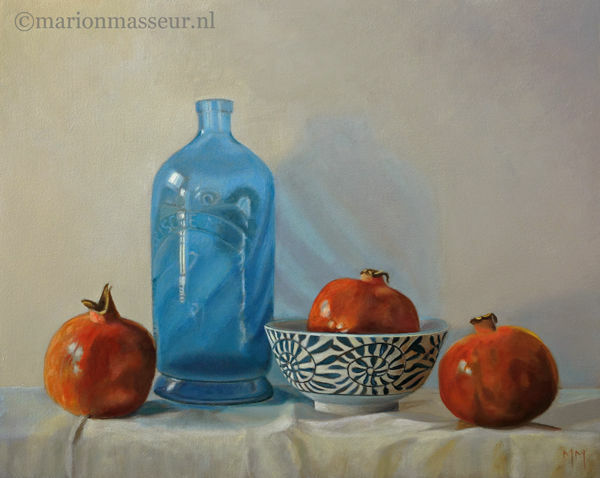 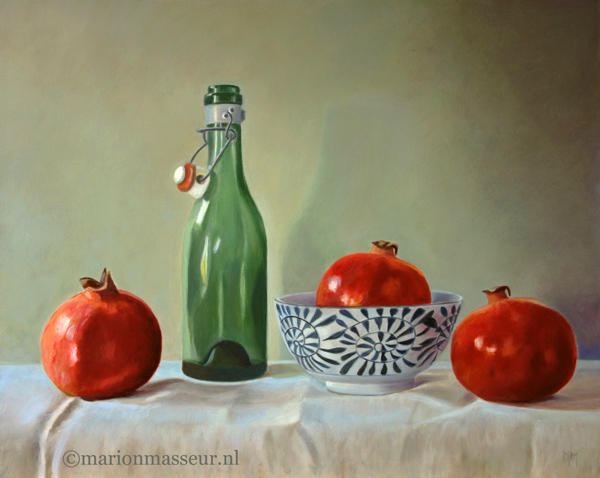 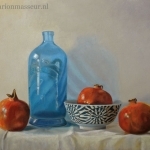 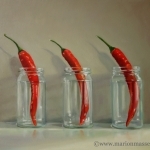 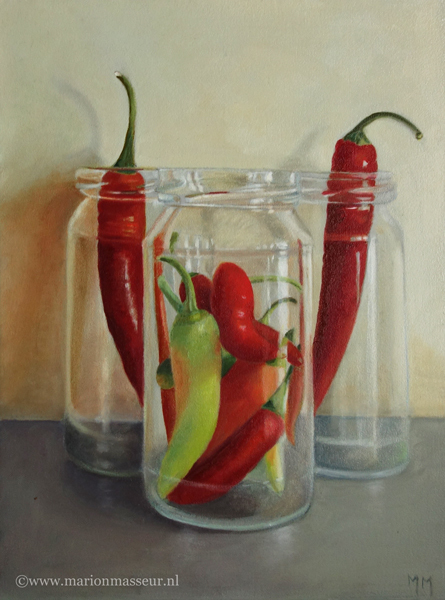 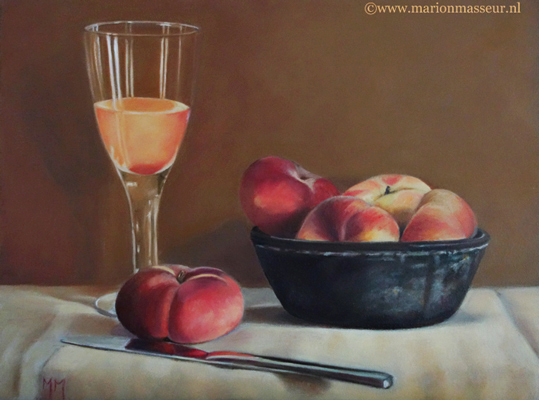 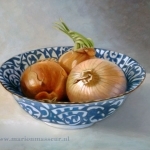 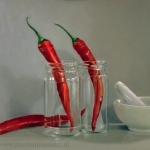 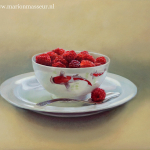 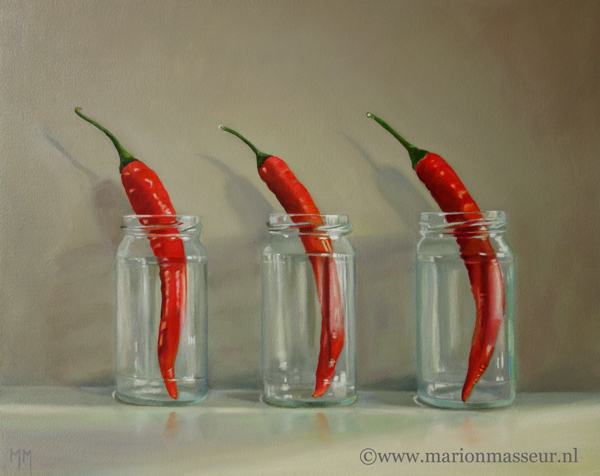 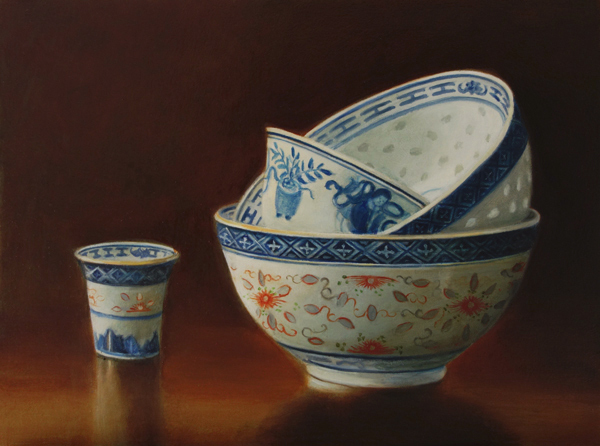 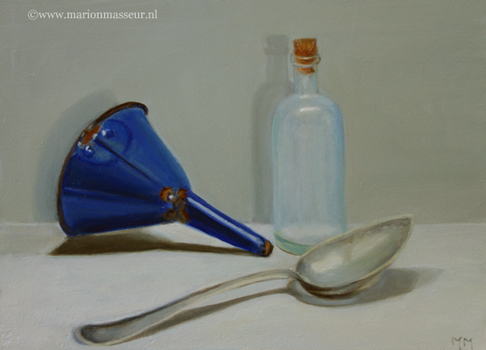 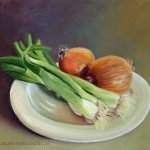 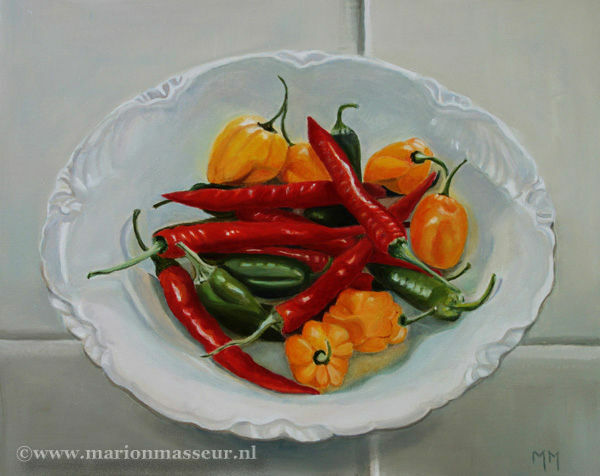 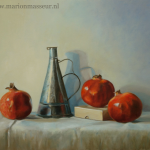 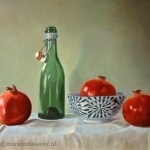 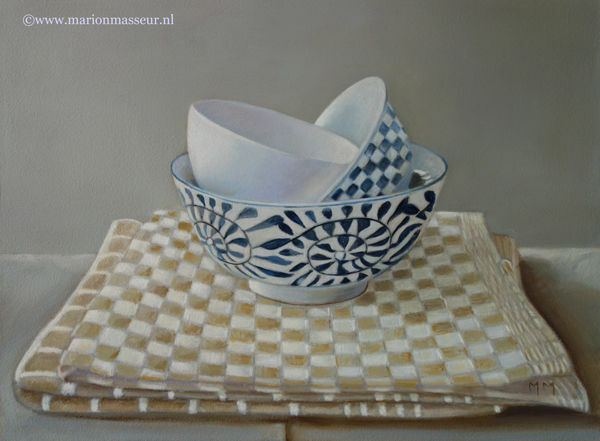 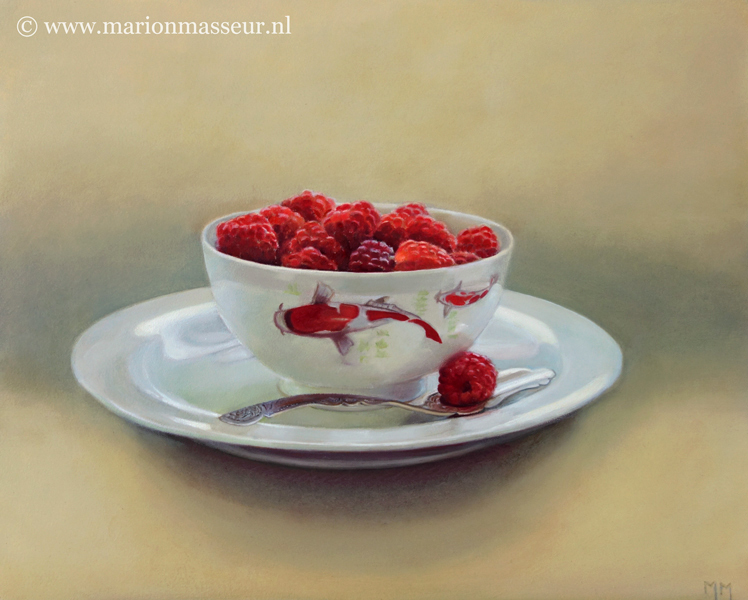 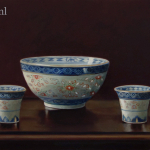 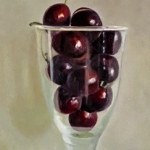 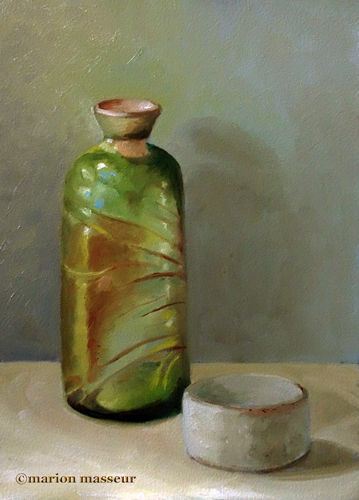 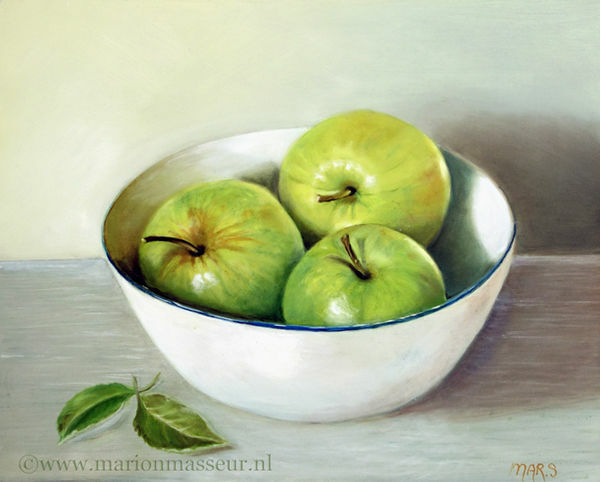 Marion paints most of her oil still life paintings using the traditional method. 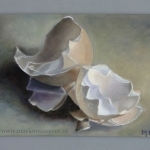 She begins with the creation of the composition in one color with white, to determine the different tones. 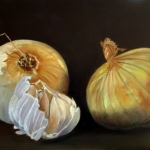 She builds it up in several layers, to bring in color later. 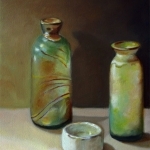 Color is also added in several layers, with mostly transparent colors. 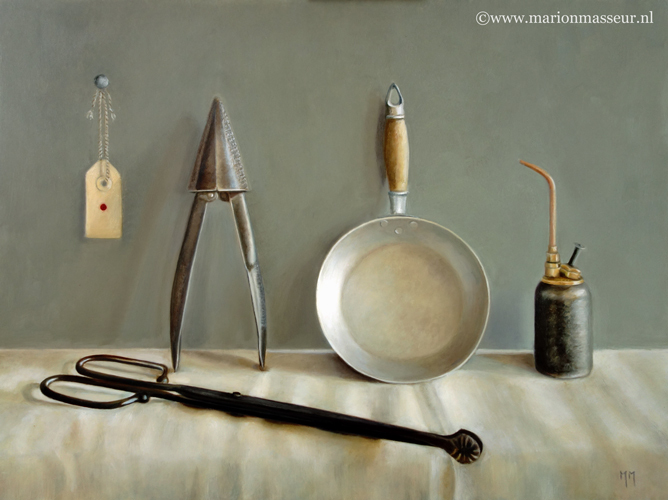 Her subjects she finds in and around the house. 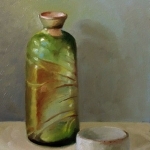 These are often objects to which she is very attached. 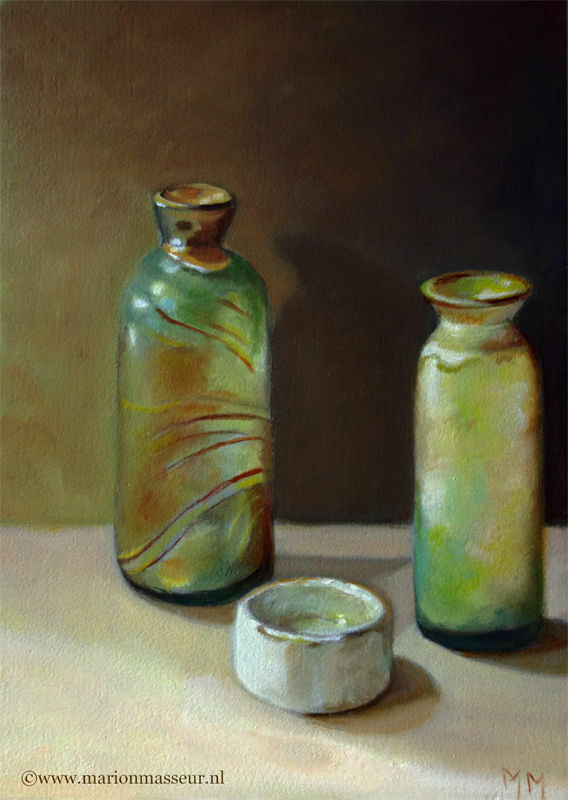 They can range from heirlooms, gifts from friends, objects she has found somewhere at a flea market during a trip. 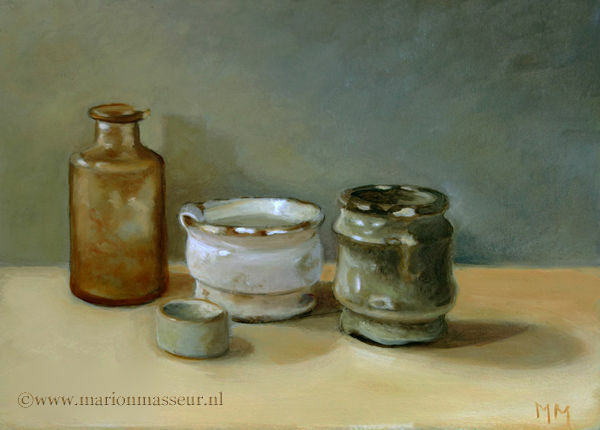 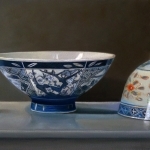 Any object she paints evokes a special memory, and that makes it a wonderful painting experience. 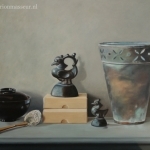 She hopes that you will notice that, while viewing her paintings.